Kenya Association of Manufacturers (KAM) estimates that counterfeit and substandard products cost the East African region over US$500 million in lost government tax revenue annually. Ministry of Health, Kenya, reported that 25% of pharmaceuticals in Kenya being counterfeit. The constant exposure to unsafe medicines has caused many lives. According to Towett’s research, vulnerable groups like students tend to become victims to unplanned pregnancies, unsafe abortions, or child delivery complications due to great amount of counterfeit pharmaceuticals in the market. Having access to medical products data could help prevent cases as such, and could further expose the supply chains and entrants of counterfeit health products. Lack of oversight and transparency in the pharmaceutical supply chain leads to corruption. Mismanagement in the supply chain leaves loopholes for poisonous counterfeit drugs into the market. Uthabiti is using blockchain technology to safe proof the pharmaceutical data (batch number of products) supply chain across its distribution channels. It enables the general public to check pharmaceutical purchases through a mobile app or via its SMS service before consumption. When receiving a request, Uthabit automatically replies on the legitimacy of the products based on the database provided by the manufacturers. In instances of, faulty or unidentified batch numbers, these will be reflected in Uthabiti’s database and equally prompt partnering pharmaceutical source to enable relevant parties to react in real-time regarding the attempt of faking its products. Evidence could potentially be further used in the prosecution of corrupt officials. #1 Connect medical/pharmaceutical provider’s products data to a safe proof online database. #2 Sensitize the public on presence of counterfeits and the need to verify their pharmaceutical purchase or donation. #3 Verify health products with immediate precision upon requests by the public. Immediately respond on the legitimacy status, info on authorised retailers, and product providers. In Towett’s early years of University, he sought to protect his schoolmates from fake drugs within the University’s market. 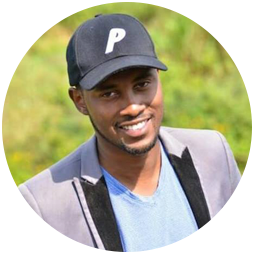 This led him to found, Uthabiti Health, a social enterprise dedicated to increasing access to SAFE health products throughout Africa. He is using Blockchain technology to encrypt pharmaceuticals and safely store this information for validation from consumers through batch scanning or Text Messaging before consumption. This protects the supply chain and stops the entrance of counterfeits into the market, or theft of pharmaceuticals from donors, governments and NGO’s/FBO’s through tracking. In 2017, he was recognised by Queen Elizabeth of the U.K for his efforts in fighting the counterfeit drug trade.